The mystery of sleep is a place where time stands still and the experience of self-consciousness fades into a restful bliss of self-detachment. It is a wonderful place to go. Something unknown happens there that recharges and refreshes our vital energy and mental clarity. Sleep deprivation is both torturous and fatiguing and a sound sleep is essential to physical and mental health. 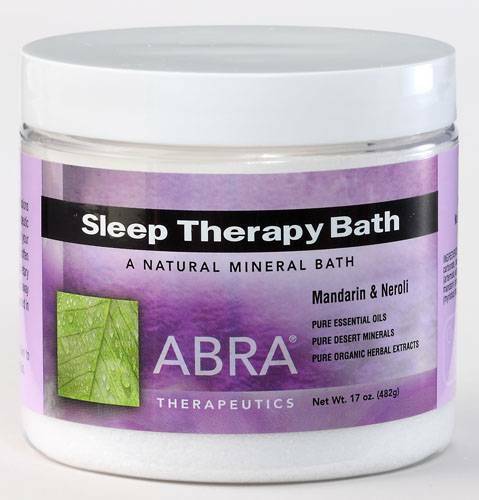 The Sleep Therapy Bath combines herbs and essential oils that are associated with relaxation and sleep. Herbs in the form of essential oils are Natures nano-particles. They are smaller than a thousandth of a micron, yet they are a complex natural botanical. These particles blend into the gasses of the air and enter the cells through inhalation. That is aromatherapy. These tiny packets of botanical substances move deep into the core of the cells and activate the mysterious sequence of sleepiness. A good nights sleep is a wonderful healing.